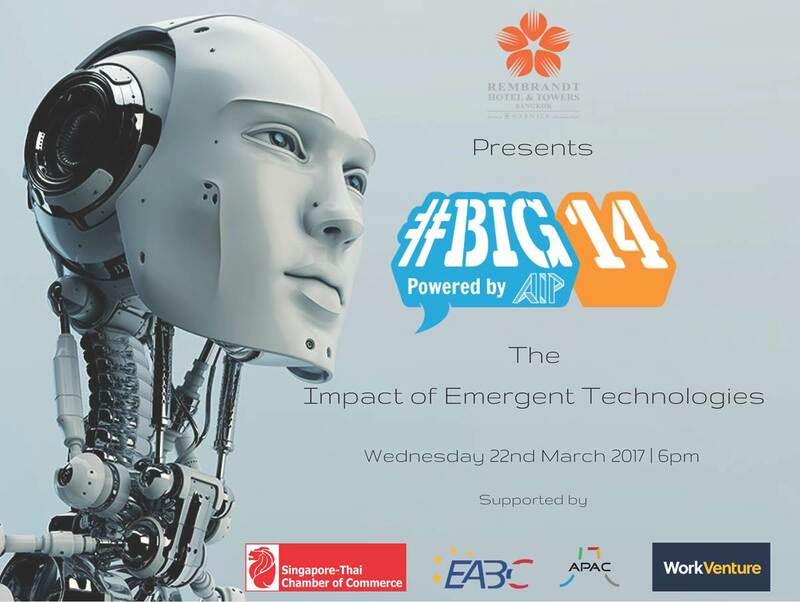 AIP cordially invites you to #BIG14 The Impact of Emergent Technologies. Meet and learn from panelists Ekaraj Kongswangwongsa (Software Industry Development Manager, Microsoft), Al Caudullo (Creative Director, Explore 360) and Jayson Ho (CEO, D8ii). During BIG14, you will learn from our special guest Panelists regarding the use of such technologies within the business landscape, and understand how such technologies can impact the way you do business in 2017 and beyond.